Last weekend in Riga was a time of uncharacteristically hot weather for early June, and it also marked the beginning of the first Riga International Biennial of Contemporary Art (RIBOCA). The swelter heated up the minds of the attendees both physically and intellectually. On the biennial’s preview days, the newest (fifth) issue of “Arterritory Conversations with Collectors” was launched at the Zuzeum Art Centre, one of the biennial’s venues. The issue includes conversations with 14 influential art collectors from ten different countries: Tony Cragg, Thaddaeus Ropac, Agah Uğur, Gertraud and Dieter Bogner, Meda Mladek, Valérie Bach, Wilfried and Yannicke Cooreman, Gil Bronner, Joseph Kouli, Venke and Rolf Hoff, Roman Babichev, Viktoras Butkus, Mark and Josée Gensollen and Heidi Goëss-Horten. “Arterritory Conversations with Collectors” is an annual publication. 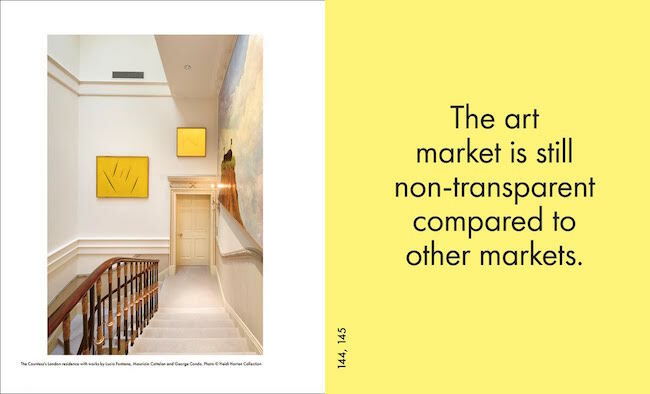 The first issue was released in 2013 with the aim of introducing the public to some of the most important and prestigious art collections as well as demonstrating that art can become a meaningful part of everyone’s life. Its goal is to document relevant conversations on both the situation of art today and the possible paths of future development in the art world, thereby popularising the art scene and garnering interest from as large a part of society as possible. Over the past five years, this project has resulted in more than 60 conversations with vivid personalities on the art scene as well as in the business world. It has published interviews with Francesca von Habsburg and Bernar Venet as well as Harald Falckenberg, Walter Vanhaerents, Dakis Joannou, Alain Servais, Galila Barzilaï Hollander, Patrizia Sandretto Re Rebaudengo, Ingvild Goetz, Frédéric de Goldschmidt, Axel Haubrok, Egidio Marzona, Jean Pigozzi, Giuliano Gori and many others. Agah Uğur from Istanbul and Joseph Kouli from Paris, both featured in the newest issue of “Arterritory Conversations with Collectors”, honoured the launch event with their presence. They also participated in an Arterritory.com-hosted public discussion titled “The distance between art and the world around it”. The discussion focused on the debate about how much (contemporary) art relates to current affairs. Do artists pay enough attention to the most glaring and urgent problems of their day and age? In the turbulent world we are living in right now, what is the responsibility of the artist and also the collector? Is art even still a suitable tool to tackle current problems? Agah Uğur is the president of Borusan Group, Turkey’s largest industrial holding company, and the foundation of his art collection lies in current “pain points” of today’s society: power and the abuse of it, women’s rights, issues of ethnic and religious identity, social engineering. The majority of the artwork in the collection was made after the year 2000; the artists are from Turkey and the Middle East as well as North and South America. Although the collection focuses on new media, video art makes up the largest part of it percentage-wise. It is also undeniably Turkey’s largest and strongest collection in this niche at the moment. Paris-based French art collector Joseph Kouli, for his part, works in the field of advertising. He began collecting art out of a desire to hear and feel what his own generation has to say about the world and the present time and how artists translate their feelings into the language of art. Kouli is well known as a supporter and also discoverer of young artists. His collection does not focus on specific artists or media; instead, the artwork itself determines everything, no matter the form of expression. Kouli’s collection contains photography as well as video art, objects and installations. In all, the launch event on the terrace at the Zuzeum Art Centre was attended by more than 150 people. Among them were several well-known personalities on the international art scene, including Belgian art collector Alain Servais, curator and art dealer Nikolay Palazhchenko, Kęstutis Kuizinas (director of the CAC in Vilnius), gallerist Laura Rutkute, British curator Mark Gisbourne, British art collector David Roberts, Daniel Hug (director of Art Cologne), Emelian Zakharov (one of the founders of Triumph Gallery in Moscow), collector Leon Zilber and gallerist Volker Diehl. 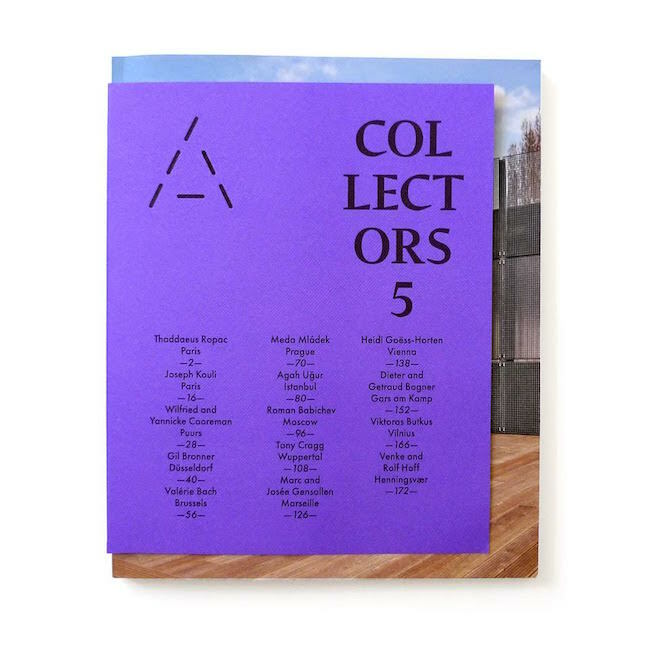 The “Arterritory Conversations with Collectors” concept was developed by Arterritory.com director Una Meistere and editor-in-chief Daiga Rudzāte. The publication’s visual identity was developed by artist Kirils Kirasirovs, one of the most talented graphic designers in Latvia. We offer a photoreport from the launch event of the fifth issue of “Arterritory Conversations with Collectors” and express our thanks to Arterritory.com patrons and art collectors Dina and Jānis Zuzāns as well as the Riga International Biennial of Contemporary Art (RIBOCA), our partner for this event.